What can a wading pool teach middle schoolers about colonization in the New World? AltSchool educators are always looking for creative ways to bring core academics to life to engage learners, while also making learning personally meaningful to students. 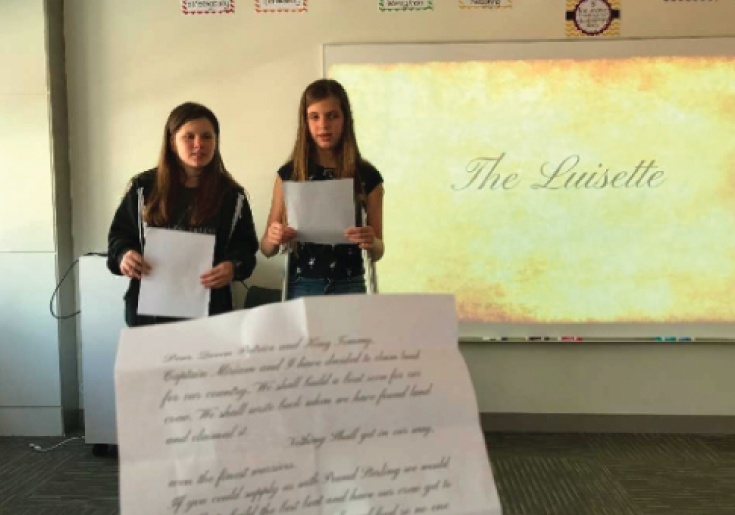 We’d like to share a recent project-based learning example from one of our middle school classrooms, where students were asked to travel back to the Colonial Era to pitch the king and queen—roles played by their educators—for an investment to leave England and travel to the New World. The four-week project arc incorporated core skills work in English, history, math, and science. Here’s a look at how our educators created an engaging experience for these middle school students. Framing a group learning project with a provocation piqued students’ curiosity right away and set the stage for lively discussion and an engaged learning experience. Educators further engaged the students by discussing the challenges faced by travelers of the time, as well as the promises of such a voyage. Introducing key science concepts behind density, volume, and mass helped students begin to understand the resources it would take to cross the Atlantic Ocean. In addition, students learned how to effectively write a persuasive pitch so they could embark on their journey to the New World. 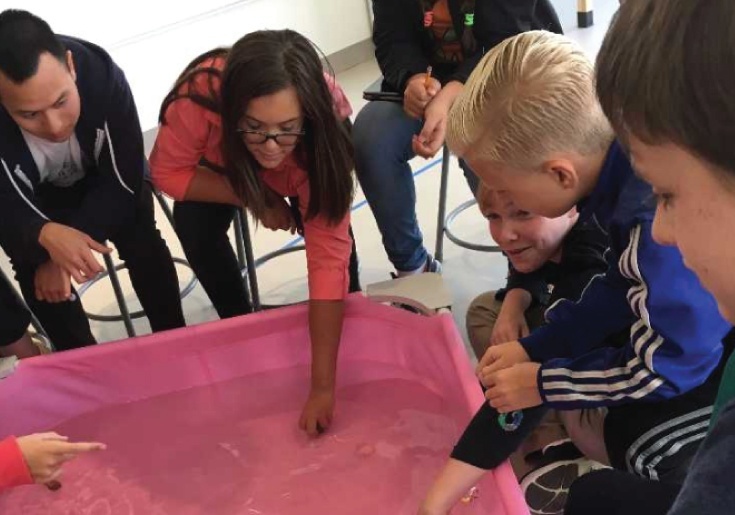 Educators brought in a small swimming pool to represent the Atlantic Ocean. This sparked further curiosity in the students as they began to prototype and test boats on the fan-powered, windy seas. By experimenting with different types of materials, students learned how to manipulate them, and began to truly understand why things float. As a few teams successfully crossed the "Atlantic Ocean," they began learning about the realities of settling a colony in the New World. Students investigated options for industry, determined their group specializations, and created a plan for the financial resources they needed to start their business. 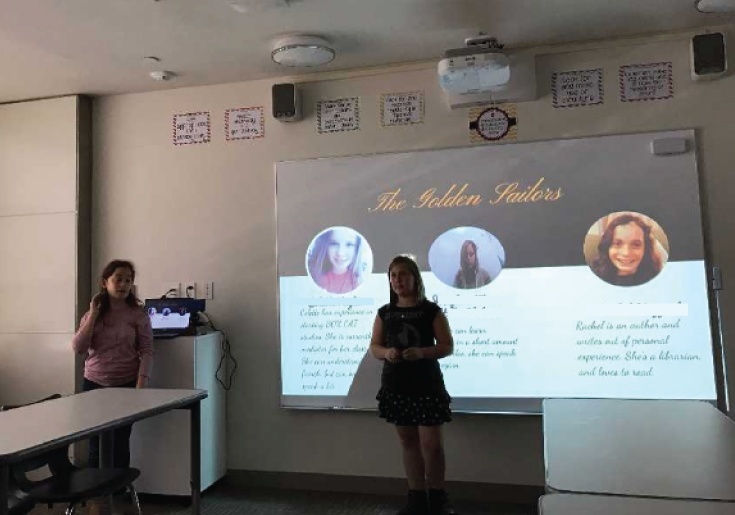 Over the course of the project, budgeting concepts and writing skills were continuously woven into each student’s work, helping students apply thinking strategies for tackling challenging problems, build their knowledge across multiple subject areas, and develop key learning habits. Throughout this project, students were encouraged to share and reflect on their work as a part of their learning process. This meant presenting what they’d learned about the industries they’d explored, or reflecting on why their boat didn’t cross the Atlantic on the first, second, or even third attempt. Demonstrating to an audience helps create personal accountability as well as the necessary motivation to complete challenges. Students then reflect on the learning process by examining whether they answered the essential question of the unit and how they arrived at that answer. Providing opportunities for sharing and reflecting at the end of a project not only enables students to engage more deeply in the learning process, but reinforces the learning that has taken place.